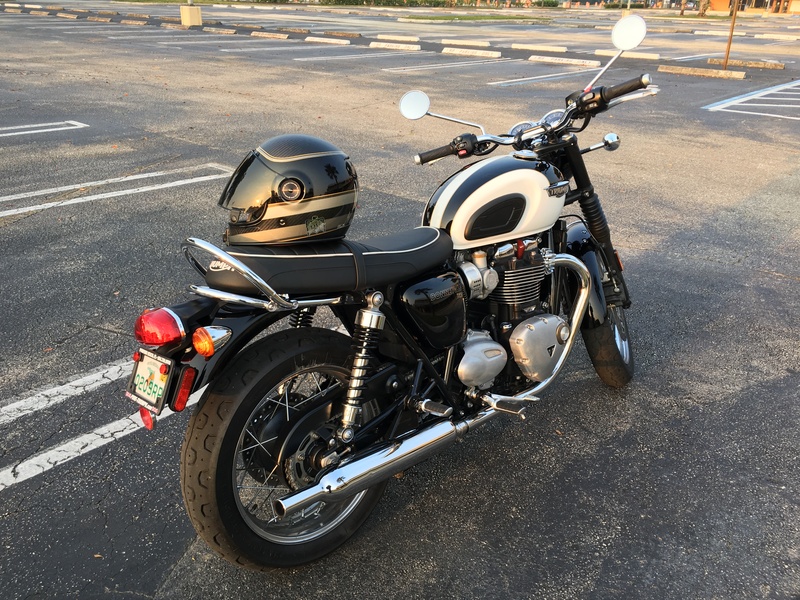 Well, it took a little while but I’m in the Bonneville club now. I really do like this bike a lot. So much more power, I really need to be careful. It wants to run out ahead of me. This is a 2017 but it’s not “brand new,” it had <2000 miles on it. 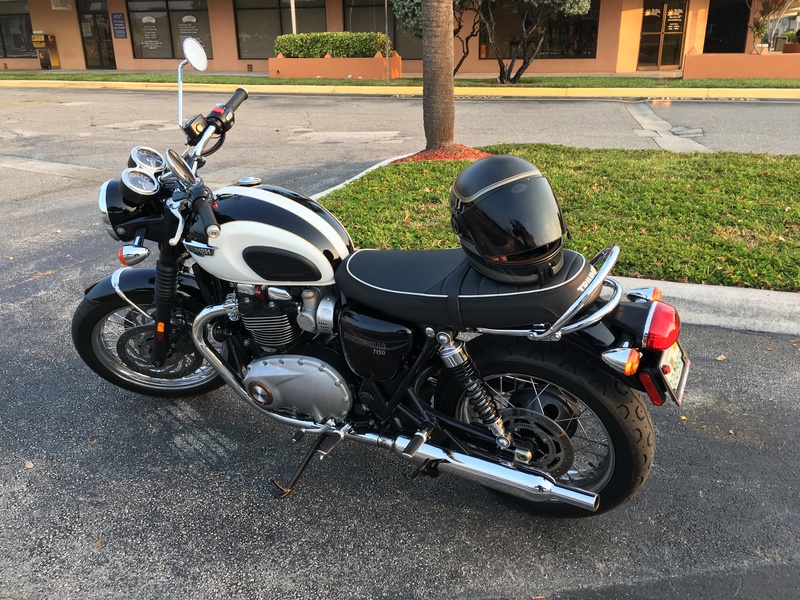 Someone bought it and the color didn’t suit him so he traded it in a short time later for another T120 but in a different color. To each their own, it worked out good for me. I didn’t pick this color – after all, the bike chose me. But the color combo, black/white with a thin gold stripe, has really grown on me in the past four days. My friend’s wife says the bike’s name is Domino, so there you go. Here’s two pics, if you want more they’re at my instagram account, I don’t want to flood you guys with Triumph pictures. ← Small-displacement bikes are fun – until they’re not fun.